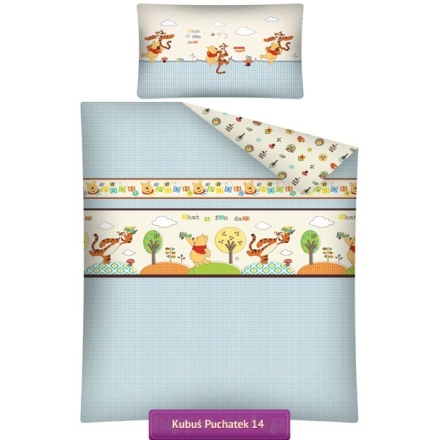 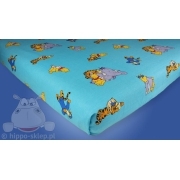 Baby bedding Winnie The Pooh P14 with Winnie and Tigger form Disney Winnie the Pooh animated story. 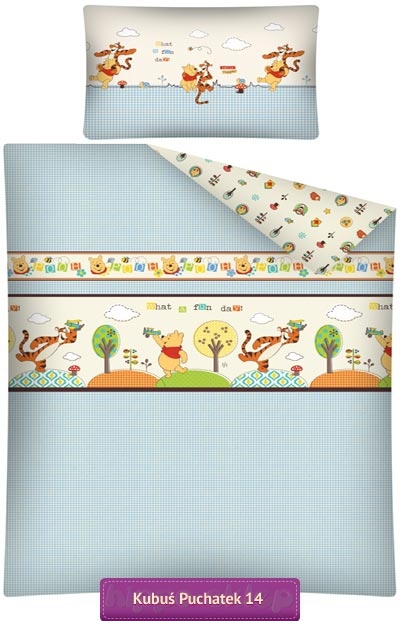 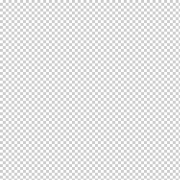 Crib / baby 2-pieces bedding set contains pillowcase size 16x23 inches (40x60 cm) and duvet / quilt cover size 39x53 inch (100x135 cm). 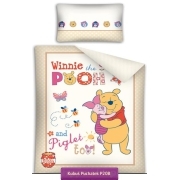 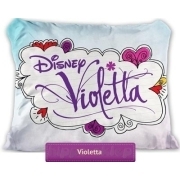 Baby bedding was made under license of Disney Winnie the Pooh, pillowcase and quilt cover made from 100% cotton and closing by zip, all materials certified according to Oeko-tex standard 100. 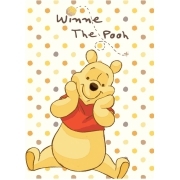 Small gift best idea for sweet baby who love Winnie.